Talk about one of the most popular parables in the bible. If you are not familiar with this parable, it could only mean one thing, you just starting going to church not quite long. (lol). Still not ringing a bell? Maybe I should call it with a more familiar name or title. 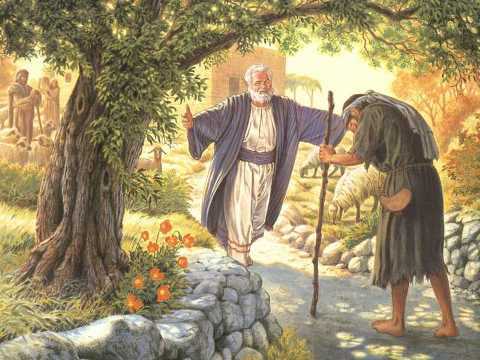 The parable of the Prodigal son…narrated by Jesus in Luke 15:11-32. We all know this parable. We have been taught about it right from when we were kids. But I always wondered why our focus was always on the younger son, whom theologians agreed centuries ago to call the prodigal son even though the bible never called him that. We have always been taught about how rude and arrogant he was to walk up to his father and request for his own share of the inheritance even when the old man was still alive and kicking. We have been taught about how unwise he was to have left his father’s abode to travel to a far country and how foolish he was to have lived a riotous life and wasted his father’s wealth. There is nothing wrong with these lessons and every other lessons that could be learned from the parable. But was the focus of this parable on the younger son? I think not. One of the main themes of the Bible right from Genesis to Revelation is the love of God. Love has always been the motive for every of God’s dealings with men right from the beginning. 1 John 4:8 says “God is love”. This means God cannot do anything outside love. Love is His very nature. Love is who He is. Even when He chastises us, it is motivated by love and not anger (Pro 3:12). It was love that made God send His only son to pay the ultimate price for our sins, even when we didn’t deserve Him (John 3:16; Rom 5:8). Therefore looking at this parable, I believe without any doubt that the character whom our focus should be on is the father, who himself is the picture of our Heavenly Father. This is parable of love, showing us the love our heavenly Father has bestowed on us His children. Throughout the story, the love of the Father was demonstrated at every point: from Him being accessible to his sons, (I’m sure most of us wouldn’t even dare approach our dads like that), to His willingness to release half of His wealth to his son at a single request. From His enduring anticipation and desire for the return of his “lost” son, to his eagerness to embrace his son after sighting him from afar. How about His unwillingness to consider the suggestion of his son to take him back as a slave, the change of raiment and the great party he organized for the son who had wasted His wealth? We see the love of the Father demonstrated at every point of this story. This post is specifically written to you. Yes you who thinks you have gone very far away from God. You who feels you have done too many terrible things that you find the idea of seeing and calling yourself a child of God taunting. God is not mad at you. He has not casted you away. He longs to have you back and He is eagerly waiting for your arrival. Don’t remain in that far country any longer, enough of living on the crumbs of pigs. That son could have been killed, he could have died from diseases or starvation and that would have greatly hurt his father. 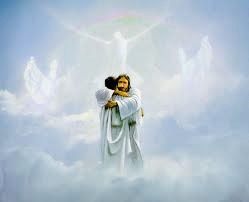 But thank God the boy came to himself and returned back home to his father. If you find yourself in this depressed and dejected state speaking or muttering these words like the son, I’m so glad to tell you that your Heavenly Father is not interested in that. He is only interested in the fact that you are back. How do I know? ….But the father wasn’t listening. He was calling to the servants, ‘Quick. Bring a clean set of clothes and dress him. Put the family ring on his finger and sandals on his feet. Then get a grain-fed heifer and roast it. We’re going to feast! We are going to have a wonderful time! My son is here-given up for dead and now alive! Given up for lost and now found! And they began to have a wonderful time. God has not given up on you, no need to keep living that way and running from Him, He is waiting for you. Don’t let any “elder brother” stop you and tell you that Your Father no longer wants you. Take that step and you will experience His love running towards you and over whelming you. God’s love never fails, never gives up and never runs out on us.